Get in Losers, we're going demon-hunting. A new photo from the set of It: Chapter 2 features the adult Losers' Club roaming the streets of the fictional Derry, Maine, in a scene shot in Port Hope, Ontario. Canadian publication Northumberland News first shared the snap, along with a close-up photo of Jessica Chastain in character as the grown-up Beverly "Bev" Marsh as well as a few images of the actual shooting location. The outlet notes that filming was supposedly taking place for a project called Largo – but given that Chastain, Jay Ryan, Isaiah Mustafa, Bill Hader, James McAvoy, and James Ransone are all featured in the walking group shot, it's clear that Largo is simply the working title for It: Chapter 2. Later uploaded to Twitter by SlashFilm's Chris Evangelista, the image features (mostly) the whole gang: Ryan as Ben Hanscom, Mustafa as Mike Hanlon, Hader as Richie Tozier, McAvoy as Bill Denbrough, Ransone as Eddie Kaspbrak, and Chastain as Bev, of course. Missing from the bunch, however, is Andy Bean as the adult Stanley Uris. We're not in the business of spoiling hotly anticipated sequels for anyone, so we'll just say this: those familiar with the second half of Stephen King's It novel or the Tommy Lee Wallace-directed 1990 television miniseries should know the reason why Stanley is nowhere to be seen. This Losers' Club reunion snap follows after studio Warner Bros. gifted us the first-ever look at the main It: Chapter 2 cast. That photo featured the seven central stars (Bean included!) sitting behind two black cloth-draped tables, as if they were giving a mini press conference. Since the actors obviously weren't on set or in character in that shot, this new one is definitely worth getting giddy over. Our kudos go to both the casting directors on It: Chapter 2 and the costume designers, as the stars are not only picture-perfect counterparts to the young actors featured in the first It movie, but they also look like a cohesive unit, all rocking jeans, simple shirts, and lots of layers. You know what they say: those who stay fashion-forward together can vanquish an ancient, trans-dimensional entity together! Right? 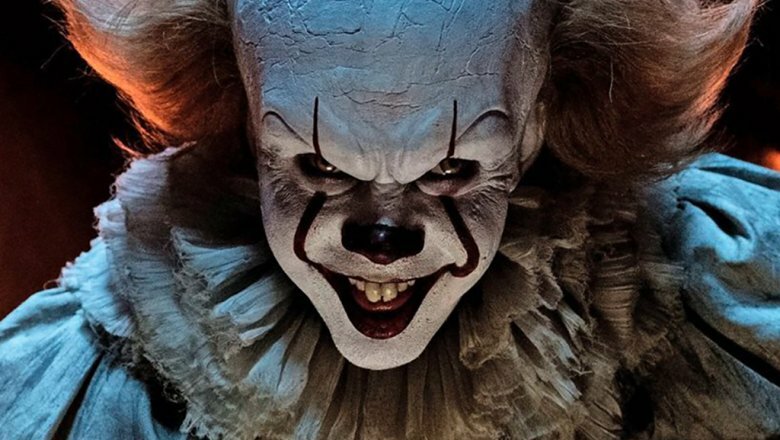 Directed by Andy Muschietti, It: Chapter 2 is scheduled for release on September 6, 2019.